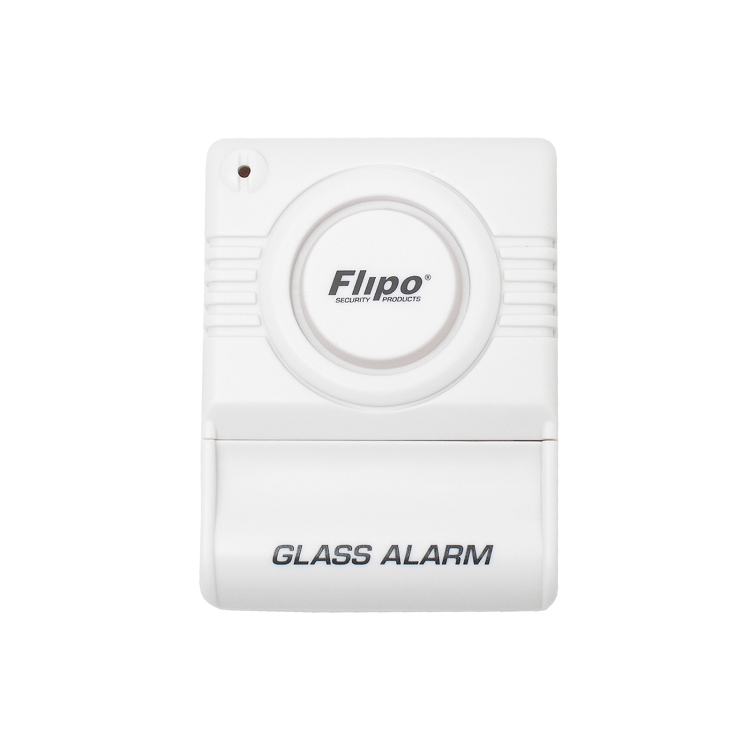 The Flipo Glass Guard Alarm System installs in seconds on any window in your home or office. 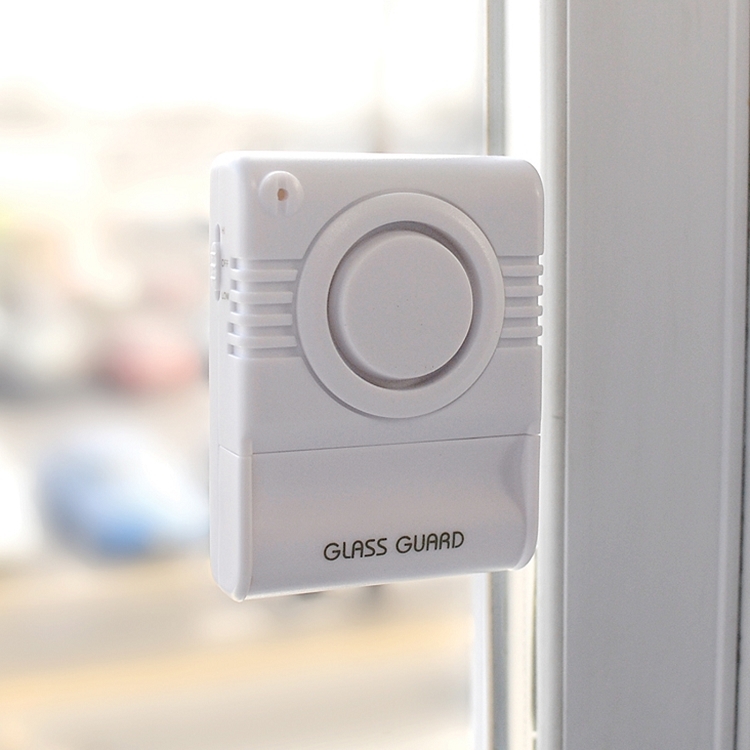 It can even be installed on non-glass surfaces such as painted doors. 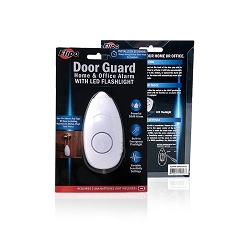 Featuring a dual sensitivity switch, the Glass Guard Alarm sounds with an ear piercing 101 decibel siren if the glass is broken or with even modest vibration in the high setting. 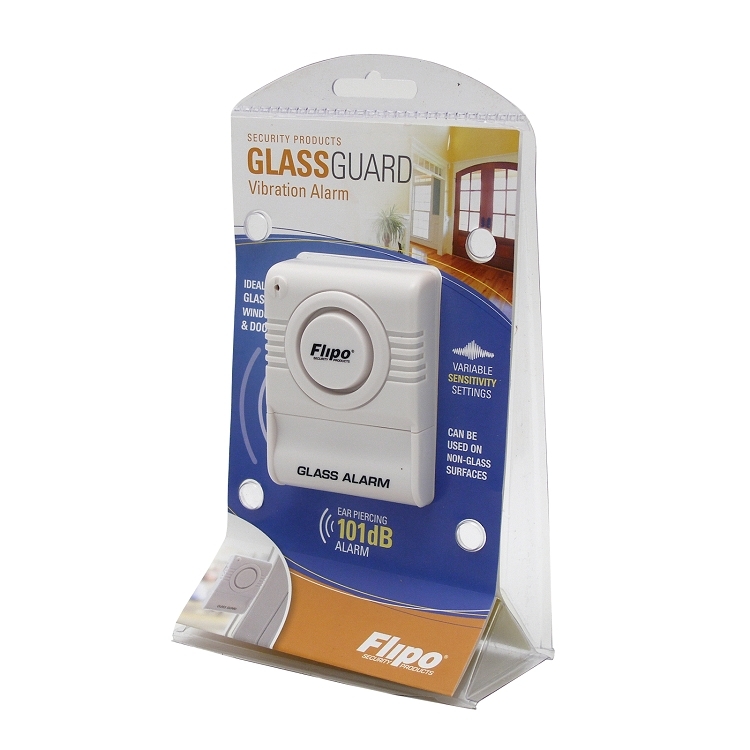 The "Peel and Stick" Flipo Glass Guard Alarm System gives you fast affordable protection at home, campgrounds, dorms and more. Uses AAA batteries.